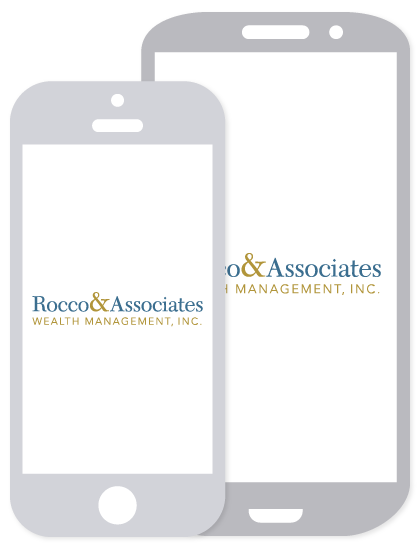 Welcome to the Rocco & Associates Wealth Management personal eNewsletter. We would like to take this time to inform you of some exciting news coming out of our office. We are always trying to build a stronger relationship with our clients and we think there is no better way than to keep you informed of our upcoming events, initiatives, and general office activities. We encourage you and your loved ones to attend any of our upcoming events. On July 25 th we are hosting our second Fishing & Finance event, which will be held at local fishing retailer, Westport Outfitters. Those in attendance can expect a night of family oriented fishing instruction and a gourmet barbecue. We are also hosting a “Back to School” event in August which will focus on raising financially aware children. Details and the date of that event will be available soon. All of our events allow our clients to spend time with their families, while we expand our own Rocco & Associates Wealth Management family. Don’t forget to bring a friend! Recently, we have implemented many business initiatives that we believe will strengthen our client service capabilities. Among these initiatives is our new insurance review process. Many clients believe that insurance is a set it and forget it process, and as your financial advisor we are trying to change that perception. Like your investments, insurance needs change constantly and we are trying harder than ever to help you continuously meet those needs. It is of the utmost importance for our team at Rocco & Associates Wealth Management to help you stay up to date in a changing insurance landscape. These meetings will allow us to meet with our clients on a more regular basis, and to review your current insurance policies as well as beneficiary arrangements in order to align yourself with your current needs. There has been some momentous activity going on at Rocco & Associates as of late, in regards to our growing team of employees. As many of you may already know, within the past year, we have been lucky enough to gain two highly motivated and experienced members of the Rocco & Associates team in Eric Johnson, Director of Business Development, and Charlie Rocco, Vice President of Strategic Planning. The recent addition of these two tremendous assets has allowed us to broaden our presence in the community. The recent additions also give our President and Founder, Joseph W. Rocco Jr., the opportunity to hone his focus even more so on servicing our clients. We are also very excited by the arrival of our Business Development Intern, Fairfield University student, Joseph Petti. Joseph is the first intern of hopefully many who will partake in our partnership with local Fairfield County universities in order to offer real world business experience to students. At Rocco & Associates we pride ourselves on maintaining a sense of social responsibility to the local area. That is why our employees tend to be leaders in the office, and in the community. Our founder, Joseph Rocco, regularly gives back to the community through his active management of the Russo family Foundation. This foundation assists in raising money for women in need of mammograms who can’t afford to receive them. Also, our Director of Business Development, Eric Johnson, stays actively involved in helping the local community by hosting the Saugatuck Cup at his fishing store, Westport Outfitters. The Saugatuck Cup raises money for youths with cancer. Please contact our office if you would like to take part in any of these charitable opportunities or events.